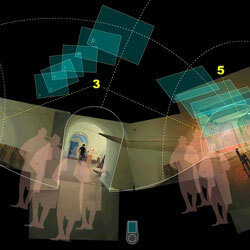 What kind of audiovisual architecture would suit the city of Helsinki? PixelACHE artist will present idea for art and architecture for various locations in Helsinki. The results of Kristian Simolin's workshop (imaginary architecture for the area of the Parliament House) will also be presented.